On average, people cook no more than two dishes from each cookbook they buy. Why? Because most of the other recipes seem just too daunting. At last, here is the book that answers the questions you always want to ask and solves those frustrating kitchen conundrums - why do some writers tell you to wash and soak rice before cooking while others never mention it? Why won't mince 'brown' the way they tell you? 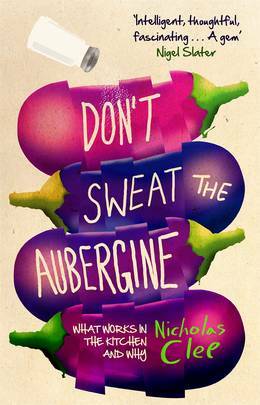 Will an aubergine really taste better if you sweat it with salt first? The authoritative verdict on these and every other cookery technique is here. Written in Clee's easy, wry style and packed with his own selection of jargon-busting recipes that will deliciously broaden your range of standbys, this is the last cookbook you will ever need to buy . . .